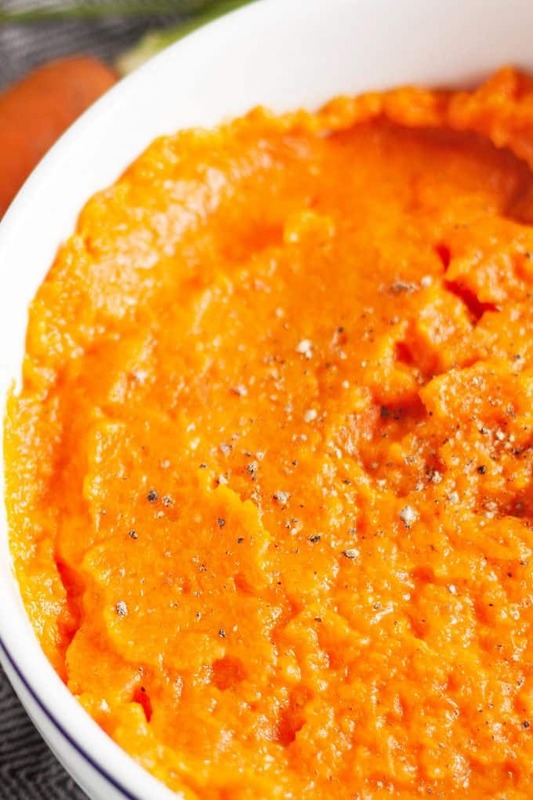 Try these ginger mashed carrots for a twist on traditional mashed potatoes. 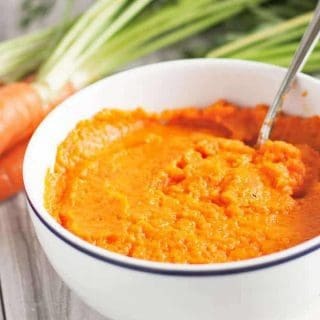 It is a delicious, easy-to-make carrot side dish. I have been stuck in a side dish rut. We always make mashed potatoes and they are delicious but boy, am I bored with them. 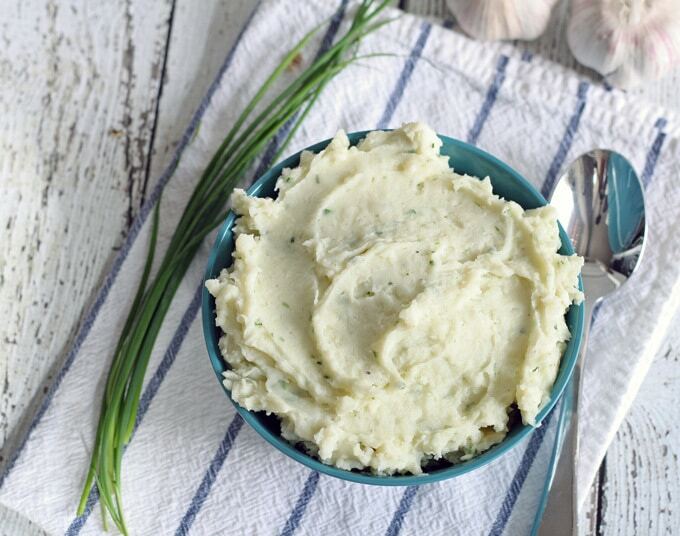 I have gotten to the point that adding garlic and blue cheese to mashed potatoes bores me too… bad sign, right? These mashed ginger carrots fixed my side dish problem, big time. This is the perfect fall side to pair with roasts, pastas and any other main dish you create. Boiled carrots, ginger paste and a little milk and butter are all you need to make this delicious carrot side dish. Make them the same way you would make mashed potatoes – potato mashers are so much fun. Or smashers, as I like to call them. I found that the smaller you cut your carrots, the faster they cook. I usually put them in a pot to boil while I’m making the rest of dinner. Two birds, one stone right? 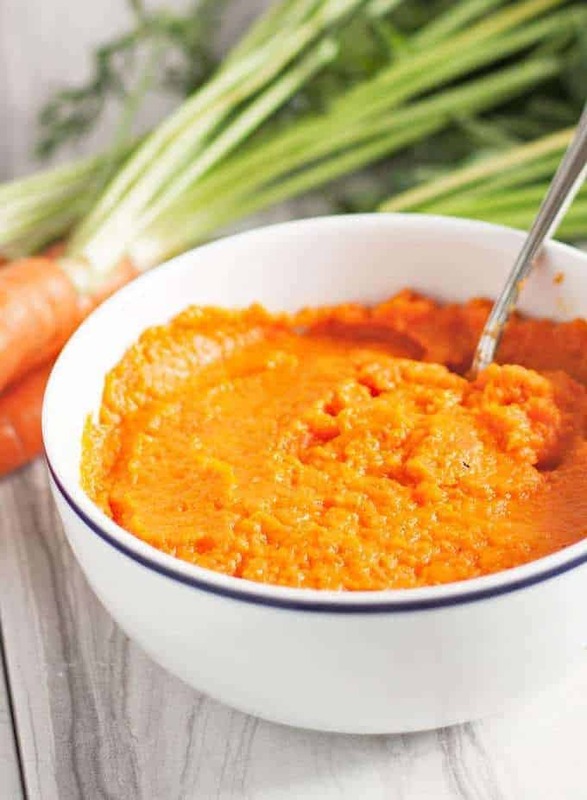 It only takes a minute or two to mash the carrots up and add the rest of the ingredients. Can I use roasted carrots? You sure can – it just adds more prep time. Toss the carrots with some olive oil, salt, and pepper and place them on a sheet pan in the oven (pre-heated to 400 degrees F.) Roast them for about 20 minutes and then follow the rest of the recipe. Looking for more vegetable side dishes? Try these mashed ginger carrots for a twist on the traditional mashed potato side dish. It is a delicious, easy addition to your side rotation! 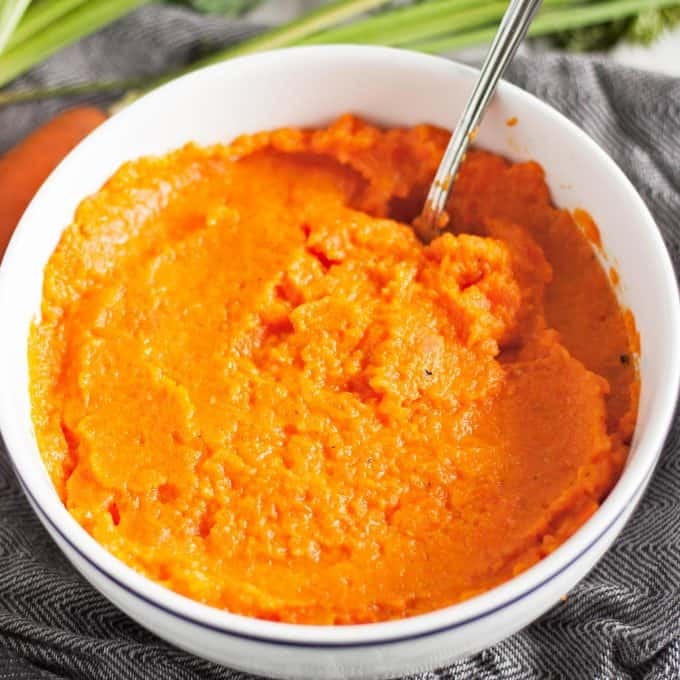 Place cooked carrots, butter, milk, and ginger into a food processor, using the puree blade. Cover and process until smooth. Season with salt and pepper to taste. Place all of the ingredients in a bowl and mash until the carrots are the consistency you are looking for. Stir the entire mixture together well before servings. Looking for more side dish recipes? Try these recipes! That chopper really seems to get the job done! We eat a lot of potatoes too but I am getting sick of them as well! Great side dish! These look so delicious… loving the flavors!! Vibrantly beautiful, wholesome and delicious – love this! Love the combination of ginger and carrots! I can’t get over the vibrant orange color…I just want to dig in! sounds like a tasty side! Hi Jenny! 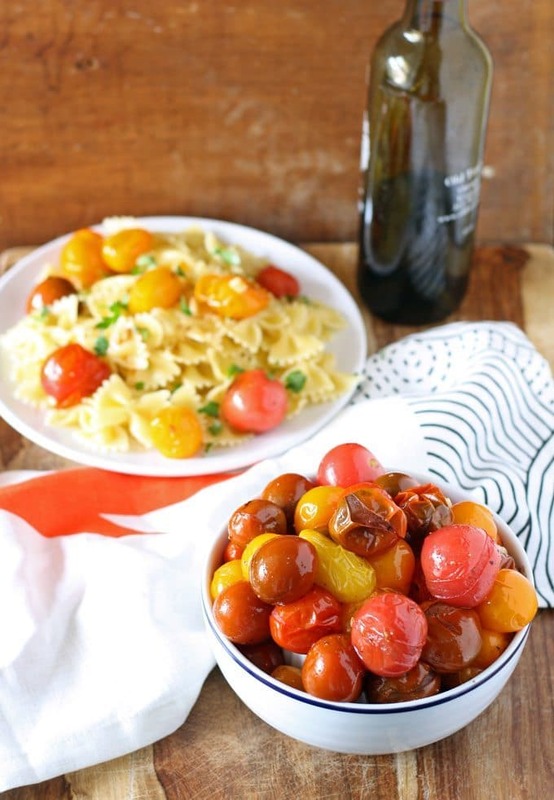 Thanks so much for sharing this recipe with all of our Let’s Get Real readers. I wish I was a little closer to Chicago so I could come see you. Mashed carrots certainly would be delicious. Such a beautiful bright color to add to the dinner table too. I get in a side-dish rut too. Thanks for this new recipe to add to the rotation. This looks like a great side dish for Thanksgiving! 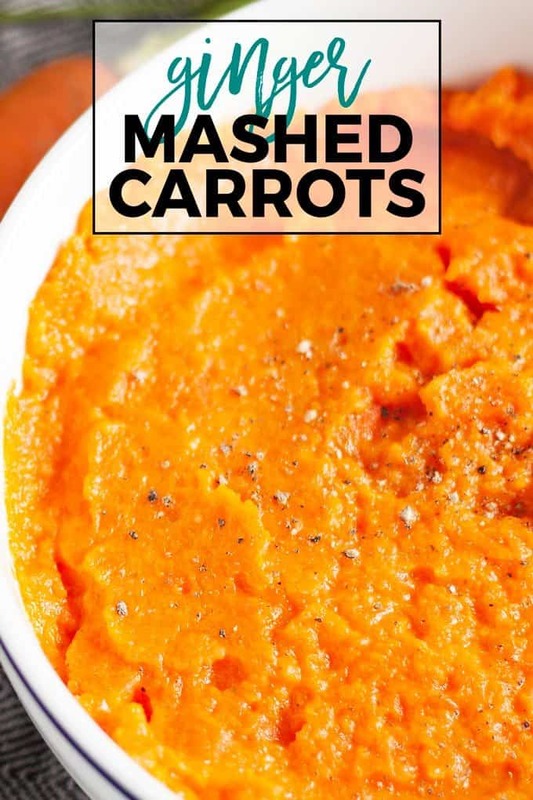 These mashed carrots sound delicious! I might have to give them a try for Thanksgiving this year! 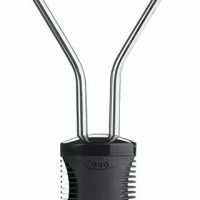 Also that chopper looks like so much fun to use! Fantastic recipe and fantastic kitchen toy! I wish I could join you on the 13th, as I’d love to be in Chicago, but alas, it’s just too far away to make the journey. But good luck. I wish you could join too!!!! Looks yummy. thanks for sharing at the party. Pinned & shared. It looks delicious! Your photographs are also beautiful. Thanks for sharing with us at the Merry Monday link party. I hope you’ll join us again next week. Sharing your post on Twitter! These mashed carrots with ginger sound wonderful, what a beautiful side dish! Thanks for sharing at What’d You Do This Weekend?! I definitely need to try these! YUM! I love ginger!! Sorry it took so long to visit – I’m a tad behind!! Thanks for sharing at the What’s for Dinner link up!